Locksmith 85029 | Local 24 Hour Service | Metro Lock & Safe Inc. When you require a locksmith, 85029 has a number of options. None of them can compare to the fast response time, breadth of service, and consistently high quality workmanship of Metro Lock & Safe Inc. We’ve been providing trusted local locksmith services for more than 30 years. No matter what your property type, we deliver. Containing a variety of homes and businesses 85029’s locksmith needs are far ranging. Customers that require service may not be in a good place. Lockouts, break-ins, and repairs can all cause stress. When providing services, a locksmith 85029 depends on delivers quality services day and night. That’s why we have 24/7 emergency locksmith services that get to you quickly. Our locksmiths in 85029 are friendly, compassionate, and calming. You can be at ease knowing experienced help is just minutes away. We thoroughly equip our locksmiths, so they can arrive on-site with the right tools. Hiring for a friendly demeanor means you get a better experience, service, and workmanship. Commercial Services – Businesses face unique challenges depending on their industry. When a door lock is jammed or locked shut, or a money safe can no longer be accessed or fails to provide proper security it can pose a real threat. 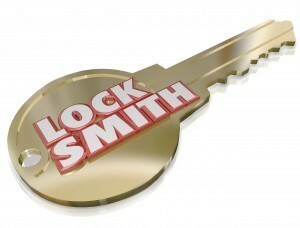 When you need a locksmith, 85029 services are always available. We perform swift assessments, prepare, and have a locksmith to your property in 20 minutes or less.We know that problems don’t always wait until closing time.When you encounter an issue during business hours you can always rely on our locksmith to exercise discretion and professionalism. We’ll complete the job efficiently, quietly, and reliably. Oftentimes buildings we work in require confidentiality and high levels of client confidence. We exercise those same standards in order to provide repairs, replacement, and installations customers want with the the discretion they need. Home Services – We perform a wide range of home services. Since homeowners possess safes of all material and lock types from varying manufacturers, we only hire certified, well rounded, and highly capable locksmiths to handle our clients needs. In addition to standard locksmithing, we also provide comprehensive security services that include consultation and system installation. Safe Services – For a locksmith, 85029 residents need reliable safe servicing. From combination changes to repairs and installations, we do it all. We’ll even help you identify the right safe for your needs, whether you need to store valuables, data, money, guns, or something else. There’s no need to do the work yourself when professional help is nearby. For complete locksmith services from a veteran locksmith in 85029 call (602) 663-9828 or Contact Us today.